Doral, FL – April 4, 2016 – The Commercial Industrial Association of South Florida has honored Edward W. Easton with its prestigious Lorenzo Arce Award. CIASF bestows the award on someone who is a “consummate professional” within the South Florida commercial real estate industry. Nominees are considered for top standards in ethics, integrity and best practices at work and in the community. “Mr. Easton’s involvement in the Greater Miami area through community service, his impact on commercial real estate through legacy development and his influence as measured by the number of people he’s trained in the profession epitomize him as an award recipient,” said Patricia J. Birch, a CIASF board member and part of the nominating committee. The Lorenzo Arce Award is named for a founding member of CIASF. The CIASF honored Easton and other commercial real estate professionals during a special dinner last month in Miami. Edward W. Easton is founder and chairman of The Easton Group, a family-owned, boutique commercial real estate firm with over 30 years of experience and an exceptional track record. The group is broken down into four business units consisting of commercial real estate investment, development, brokerage, and property management. The Easton Group is headquartered at International Corporate Park in Doral, Florida. For more information log on to www.theeastongroup.com. The CIASF was founded as the Industrial Association of Dade County (IADC) in 1980 as an organization of business leaders involved in development, design, construction, sales, and the leasing of industrial warehouses and commercial properties in South Florida. In 2006, the organization changed its name to CIASF to allow better service to the commercial and industrial segments of the market. With over 250 members, CIASF is a marketplace leader for South Florida’s top commercial real estate professionals, affiliates, and service providers; and an advocate for the industry. For more information, log onto ciasf.com. (Doral, FL)—February 24, 2014— The Easton Group, a full-service commercial real estate firm based in Doral, FL, announced that corporate finance executive Jose A. Hernandez-Solaun has been hired as its new president. In his role, Hernandez-Solaun will work with Easton’s investment partners and oversee day-to-day operation of the company which manages, leases, develops and owns more than 4.5 million square feet of commercial real estate in South Florida and outside of the state. Prior to joining The Easton Group, he was a senior vice-president at GE Capital, a division of General Electric. Based in South Florida most of his career, Hernandez-Solaun spent 15 years at GE Capital assisting C-level executives of mid-market companies with their financing needs. While at GE, he attended classes at the John F. Welch Leadership Development Center and achieved Green Belt and simpleLEAN certification in Six Sigma methodology. While at GE Capital, Hernandez-Solaun simultaneously co-founded LEAD305, an open-source leadership platform for South Florida’s future leaders. He also founded the Hernandez-Solaun Foundation, which educates young adults on the basics of personal finance, credit and business fundamentals. In addition to chairing his own foundation, Hernandez-Solaun also chairs the American Diabetes Association for Miami-Dade and Monroe Counties and is a committee member for the national organization. In addition, he chairs the MIT Enterprise Forum of South Florida. Hernandez-Solaun holds a BA in Entrepreneurship, Marketing and International Business from Florida International University. He received his MBA in 2005 from the University of Miami. In December 2009, he earned an Executive Certificate in Strategy and Innovation from Massachusetts Institute of Technology. Edward W. Easton is founder of The Easton Group, a family-owned, boutique commercial real estate firm with more than 35 years of experience and an exceptional track record. The group is broken down into four business units consisting of commercial real estate investment, development, brokerage, and property management. The company has experience in South Florida, Texas, New Jersey, North Carolina, Ohio and Alabama and has more than three million square feet of industrial, office and retail space in its portfolio. The Easton Group is headquartered at International Corporate Park in Doral, Florida. 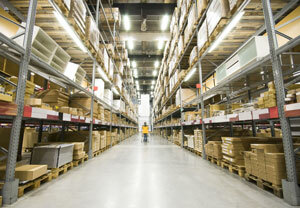 Wal-Mart Stores East, LP extended a lease for 56, 800 square feet of warehouse space at 1430 NW 88th Avenue, Doral. The location is being used by a Wal-Mart store located on 87th Avenue for overflow storage. The landlord is Terreno America’s Gateway LLC. Easton & Associates VP Jim Armstrong and sales associate Mike Waite represented Wal-Mart Stores, LP. The landlord was represented by Devin White of CB Richard Ellis. BCSS Ltd. signed a new lease for 26, 652 square feet of industrial space at 9900 NW 77th Court, Hialeah. The landlord, EWE Warehouse Investments XV Ltd, was represented by Easton & Associates VP Jim Armstrong and sales associates Mike Waite and David Olalde. Audley Bosch of Cushman & Wakefield represented BCSS Ltd.
Pinto Transfer & Packing Corp. leased 24, 563 square feet of industrial space at 1301 NW 84th Avenue, #113, Miami. Easton & Associates VP Jim Armstrong and sales associates Michael Waite, Alex Beach and David Olalde represented Pinto Transfer & Packing Corp. The landlord, Rreef-Beacon Centre Alliance LLC, was represented by Thomas Kresse of Transwestern. FuzHou Xingrong Stone Co. (USA) LLC leased 13, 200 of industrial space at 7425 NW 70th Street, Miami. Easton & Associates Kathy Zerbone represented the tenant. The landlord, Daliz, Inc., w was represented by Luis Marquez of the Casal Group. 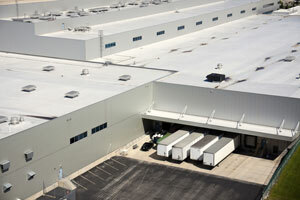 MasTec North America, Inc. leased 11, 193 square feet of industrial space at 10400 NS 37th Terrace, Miami. The landlord, HMS Distributors, Inc., was represented by Easton & Associates Kathy Zerbone. MasTec North America was represented by Harry Jordan of NAI Miami. Rana Furniture leased 61, 700 square feet of warehouse space for a distribution center located at 7821 NW 67th Street, Miami. The landlord is SPG NW 77th Court, LLC. Easton & Associates VP Jim Armstrong and sales associate Mike Waite represented both parties. AirLease International leased 22,000 square feet of industrial space at 7820 NW 74th Street in Medley, FL. The landlord is Easton/Levi Associates. Easton & Associates VP Tom Kimen represented both parties in the transaction. VJV Equipment Leasing Corp. leased 12, 983 square feet of industrial space at 6800 NW 72nd Street, Miami. Easton & Associates sales associate David Olalde represented the tenant. Chris Sutton from Flagler Development represented the landlord, FDG Flagler Station II, LLC. Midway Industrial Supplies leased 10, 600 square feet of industrial space at 7890 NW 34th Street, Miami. The landlord is Equity MOA Holdings Ltd. Easton & Associates VP Jim Armstrong and sales associates Mike Waite and David Olalde represented the landlord. Steve Jones of Industrial Group Realty represented Midway International Supplies. Captiva Containers, LLC leased 15, 100 square feet of industrial space at 57 NE 179 Street, North Miami Beach, FL. The landlord is 57 NE 179 Street LLC. Easton & Associates Vice President Jim Armstrong and Associate Mike Waite represented both parties in the transaction. Easton & Associates Vice President Tom Kimen represented Imaging Specialists Group Property Management LLC in the sale of a 18, 700 square foot industrial property located at 10505 NW 27 Street in Doral, FL. The buyer, Shalbaf Brothers LLC, paid $2.455 million for the property. The buyer was represented by Rise Realty. Easton & Associates Vice President Tom Kimen represented Sand Bar Properties LLC in the sale of a 6, 440 square foot industrial property to Montoya American Group LLC for $825, 000. The building is located at 2300 NW 102 Place in Doral. Brickell Realty Group represented the buyer. Easton & Associates, the commercial real estate brokerage division of The Easton Group, represented the seller of a two-and-a-half acre parcel of land in Miami. The price was $1.325 million. The land, which is zoned heavy industrial, is located just west of the Palmetto Expressway on NW 71st Street—between 74th Street and 58th Street. Easton & Associates Vice President Jim Armstrong and Associate Mike Waite represented the seller, NW 71 Street Associates LLC, an affiliate of the Seagis Property Group. Gonzalo Vazquez of Omega Realty Inc. represented the buyer, Dinotom Venture LLC. Easton & Associates, the commercial real estate brokerage division of The Easton Group, is expanding its brokerage team in response to improving conditions in the local commercial real estate market. The firm has hired three new sales associates over the past two months. 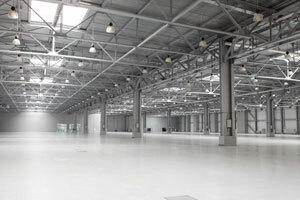 Easton & Associates specializes in leasing and sales of industrial/warehouse properties in the west Miami-Dade submarket. The latest associates to join the brokerage team are Alex Beach and Jeremy Myers. Alex Beach specializes in landlord and tenant representation in the west Miami-Dade market, handling both leases and sales. Prior to joining Easton & Associates, he was an associate with Foster & Clark Real Estate, closing several transactions throughout the Miami area. Beach earned his bachelor’s degree from Johnson & Wales University. He is an 11 year resident of South Florida. Jeremy Myers also specializes in landlord and tenant representation, both sales and leases, in the west Doral / Medley sub market. Prior to joining Easton & Associates, he was an intern with SAC Capital Advisors in New York, NY. Myers earned his bachelor’s degree in communications from Villanova University. “With the economy improving and with historically low interest rates available, we see the potential for a lot more activity, on both the owner and tenant side, and we are positioning ourselves to take advantage of the changes,” said Edward W. Easton, chairman and founder of The Easton Group. Easton & Associates’ hiring trend began in the fourth quarter of 2012 when it added David Olalde as a sales associate.